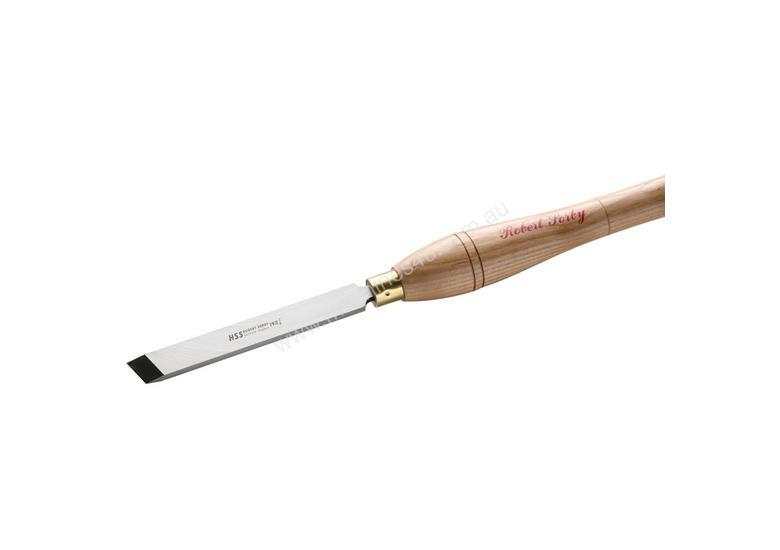 Robert Sorby Standard Skew Chisel 1 handled"
The Robert Sorby standard skew chisel is a well balanced heavier tool, it has had a make over, it now has rounded corners to prevent it from becoming caught on the tool rest. They are great for smoothing a multitude of objects from cylinders to end grain, creating beads and even doing v-cuts. These are a tool every woodturner should own.